China is expanding its arsenal of nuclear-capable ballistic missiles, according to a report from the U.S. Defense Department. China is expanding its arsenal of nuclear-capable ballistic missiles to ensure the viability of its nuclear deterrent, according to an annual report to the U.S. Congress from the Defense Department. The report, titled “The Military and Security Developments Involving the People’s Republic of China 2016” and released last month, noted an expansion in the number of China’s nuclear-capable intercontinental ballistic missiles (ICBMs) and the development of a new intermediate-range ballistic missile, the DF-26. ICBMs have a range of more than 5,500 kilometers, whereas intermediate-range ballistic missiles have a range of 3,000-5,500 kilometers. The 2016 report said that these missiles have capabilities, including multiple independently targeted re-entry vehicles (MIRVs), that are “intended to ensure the viability of China’s strategic deterrent in the face of continued advances” in areas such as ballistic missile defense and precision-strike capabilities by the United States and, to a lesser extent, Russia. Precision-strike capabilities utilize advanced guidance systems to hit targets more accurately, which threatens China’s ability to execute a second strike in the event of an attack. The DF-26 is China’s first ballistic missile in the intermediate range and was unveiled for the first time in September 2015. 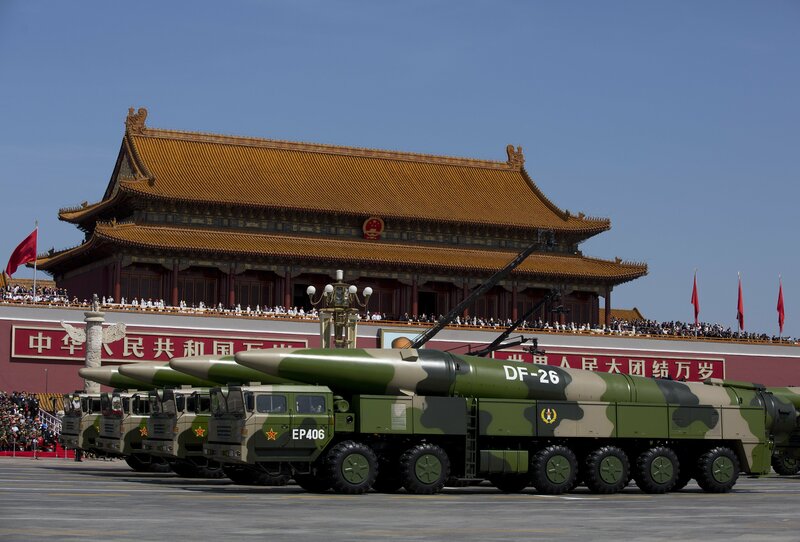 When China deploys the nuclear variant of the DF-26, it would give Beijing its “first nuclear precision strike capability against theater targets,” according to the 2016 report. U.S. military bases in Guam would be within range of the DF-26. The 2016 report estimated that China has between 75 and 100 road-mobile and silo-based ICBMs, up from the 50 to 60 ICBMs noted in the 2015 edition of the report. The increase in ICBMs came as a surprise to a number of experts. In a May 18 article for Strategic Security, the blog of the Federation of American Scientists, Hans Kristensen wrote that the increase in ICBMs is “inconsistent” with previous reports, which have listed the same number of missiles as missile launchers or slightly higher as the DF-4 ICBM launchers can be reloaded. Kristensen, director of the nuclear information project at the federation, wrote that the rationale is unclear for reporting a sudden increase in missiles to 25 more than the number of launchers. The 2016 report did not indicate that China deployed any new ICBM variants since the last report, but noted that a road-mobile ICBM still under development, the DF-41, is capable of carrying MIRVs. The 2015 report only said the DF-41 was “possibly capable” of carrying multiple warheads. According to the report, China deploys an ICBM, the DF-5B, that is equipped with MIRVs. Li Bin, a senior associate at the Carnegie Endowment for International Peace, said at a May 5 event hosted by the group that it is unclear if China has deployed MIRVs on any DF-5B ICBMs. He argued that it would be more logical for China to use decoys on the missile instead of additional warheads. Bin said China’s nuclear activities are not designed to seek parity with any other country but to demonstrate that Beijing is not “lagging” behind technological developments. Perception of a lag could invite aggressive actions from other countries, Bin reasoned. The 2016 report also revised the estimate for China’s Jin-class ballistic missile submarines to begin conducting deterrent patrols. The 2015 report assessed that China would begin deterrent patrols in late 2015, whereas the 2016 report says “sometime in 2016.” China currently has four operational Jin-class submarines and a fifth under construction. The submarines are armed with the JL-2 submarine-launched ballistic missile (SLBM). The JL-2 has an estimated range of 7,200 kilometers. On a deterrent patrol, a submarine would carry nuclear-armed SLBMs. China’s first-generation Xia-class submarine is believed to have been a technology test bed that never conducted a deterrent patrol. Controversy over the potential nuclear capability of two ballistic missiles tested by Iran last month prompted calls for new U.S. and UN sanctions on Tehran. Iran tested two ballistic missiles last month, raising calls in the United States for new national and international sanctions on the country. 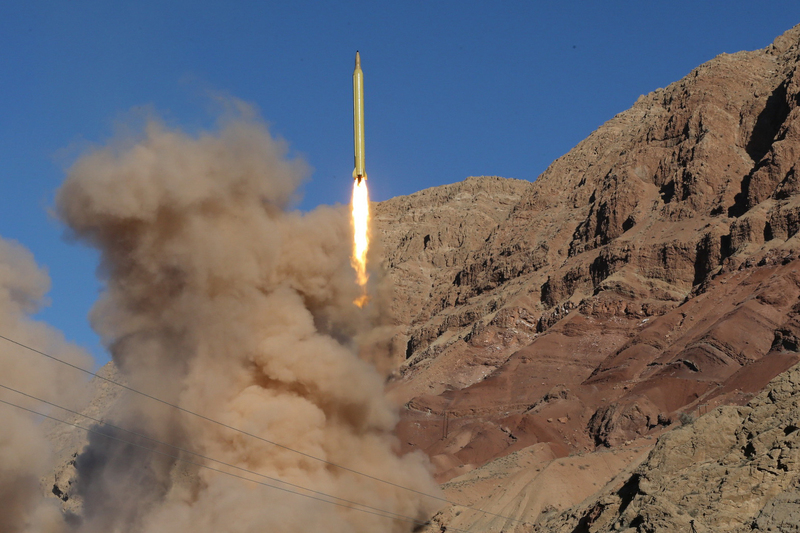 On March 9, Iran launched two different variations of the Qadr medium-range ballistic missile as part of a military drill from a site in the Alborz Mountains in northern Iran. One of the missiles, the Qadr-F, has a range of 2,000 kilometers; the other, the Qadr-H, has a range of 1,700 kilometers, according to Iran’s Islamic Revolutionary Guard Corps. The international community generally defines a ballistic missile as being nuclear capable if it can carry a 500-kilogram payload a distance of 300 kilometers. Passed last July, Resolution 2231 endorses the nuclear deal reached between Iran and six countries (China, France, Germany, Russia, the United Kingdom, and the United States) earlier in July and terminates past Security Council resolutions on Iran’s nuclear program, including Resolution 1929. 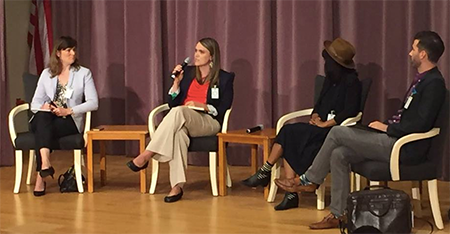 (See ACT, September 2015.) Resolution 1929, which prohibited Iran from developing and launching missiles that were “capable of delivering nuclear weapons,” was terminated on Jan. 16, when the nuclear deal was formally implemented. Resolution 2231 came into effect that day. Samantha Power, U.S. ambassador to the United Nations, said on March 14 that she raised the issue of Iran’s ballistic missile tests being inconsistent with Resolution 2231 at a Security Council meeting that day. In remarks to press after the meeting, Power said the missiles were “designed to be capable of delivering nuclear weapons” and called the launches destabilizing and provocative. Power said Iran’s reaction merits a response from the Security Council. Vitaly Churkin, Russian ambassador to the UN, took a different view, saying that Iran’s tests did not violate Resolution 2231 because the resolution only “call[s] upon” Iran to abide by the restriction. Churkin said that “you cannot violate a call.” The earlier resolution said that Iran “shall not” undertake any activity related to nuclear-capable ballistic missiles. Members of the U.S. Congress are also considering national sanctions against Iran. One of the sanctions bills introduced in response to the ballistic missile tests was sponsored by Sen. Kelly Ayotte (R-N.H.) on March 17 and co-sponsored by 11 other Republican senators. It includes new sanctions against individuals involved in Iran’s ballistic missile program and entities that own 25 percent or more of Iran’s key ballistic missile organizations. Israel is in range of the ballistic missiles that Tehran tested on March 9. But Iran would need a ballistic missile with a range of more than 9,000 kilometers to target the United States. Iran has never tested or displayed a long-range ballistic missile. Cardin said he is working on bipartisan sanctions legislation that will respond to Iran’s repeated ballistic missile launches.